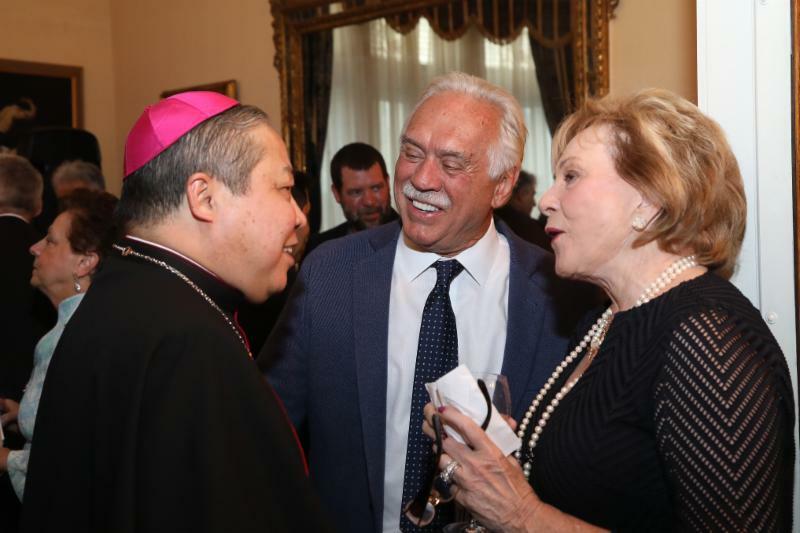 Bethlehem University Foundation invested its first class of Patrons of Bethlehem University Foundation at a recent reception at the Residence of the Holy See to the United Nations. The evening was hosted by His Excellency, Archbishop Bernardito Auza, Apostolic Nuncio and Permanent Observer of the Holy See to the United Nations. To view more photos from the event, please click here. 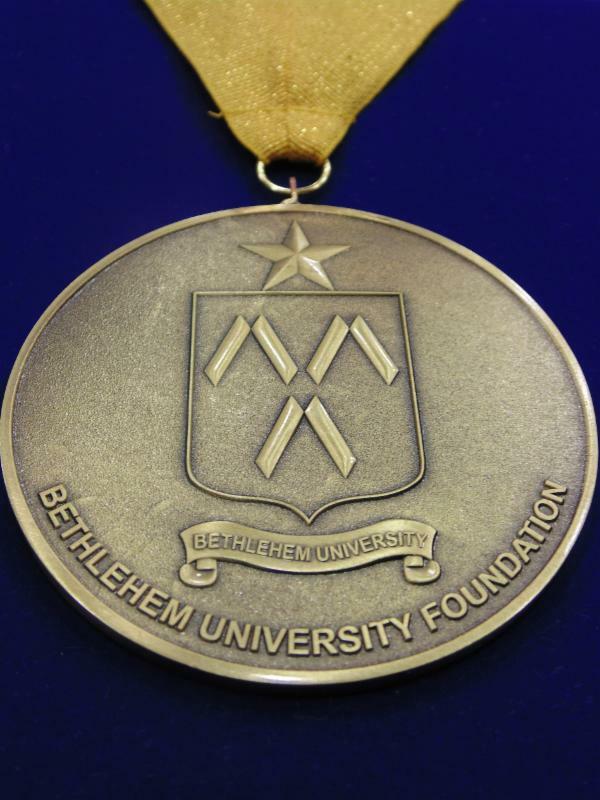 The Board of Directors of Bethlehem University Foundation created the Patrons to recognize those donors who make qualifying gifts to the Foundation's annual fund. 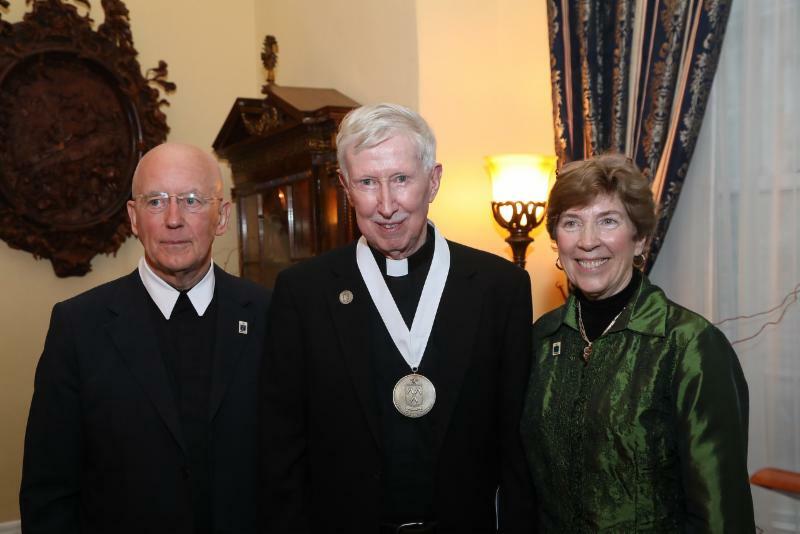 The Patrons, through their generosity, invest themselves into the work of the Foundation in its mission of promoting and supporting Bethlehem University. They serve in an advisory capacity to the Executive Director and hold an annual meeting. The Patrons are recognized at all Foundation events. 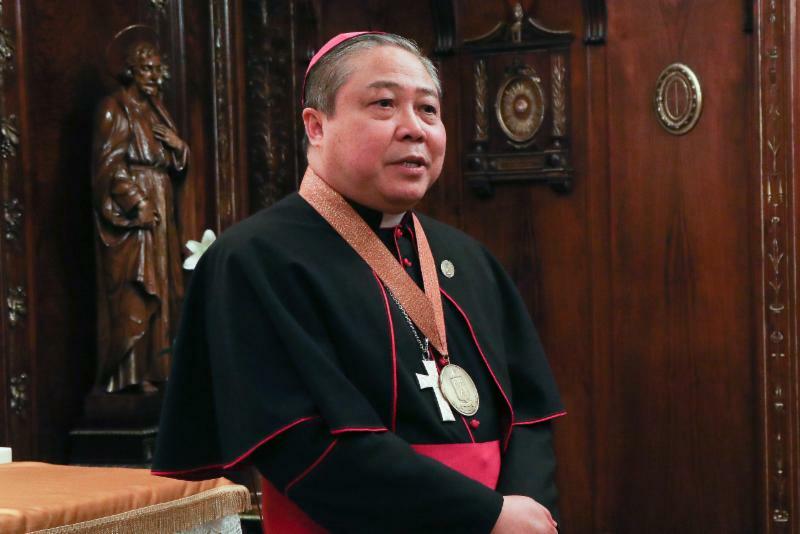 Archbishop Auza was invested as the first Patron of the Bethlehem University Foundation. 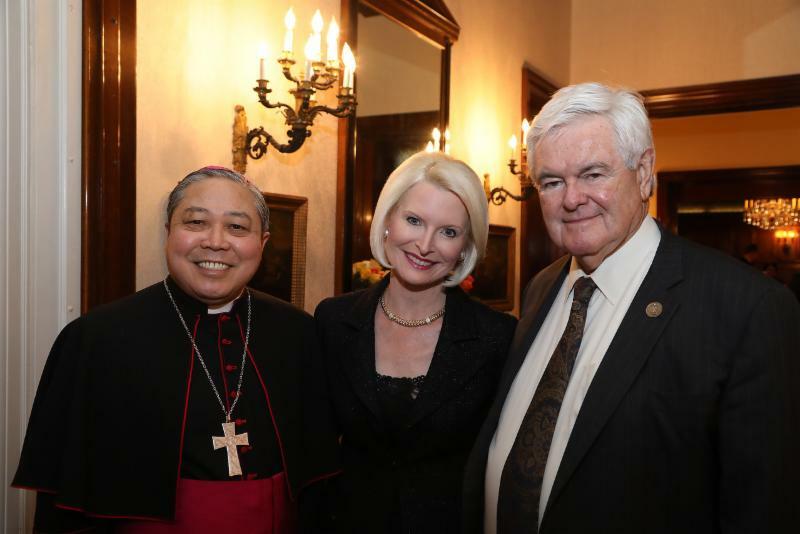 The Honorable Newt and Mrs. Callista Gingrich were invested as Bronze Patrons. 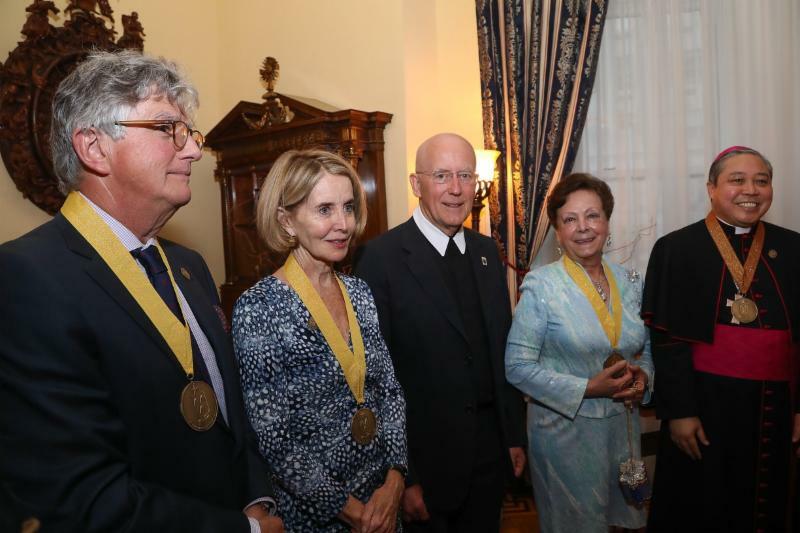 Mr. François and Mrs. Calleen Letaconnoux of New York, New York, and Mr. Tony and Mrs. Ilham Saca of Sacramento, California, were invested as Gold Patrons. The title of Legacy Patron of the Bethlehem University Foundation is bestowed, by resolution of the Board of Directors, upon those who have generously supported the work of the Foundation through years of exceptional service and generosity. 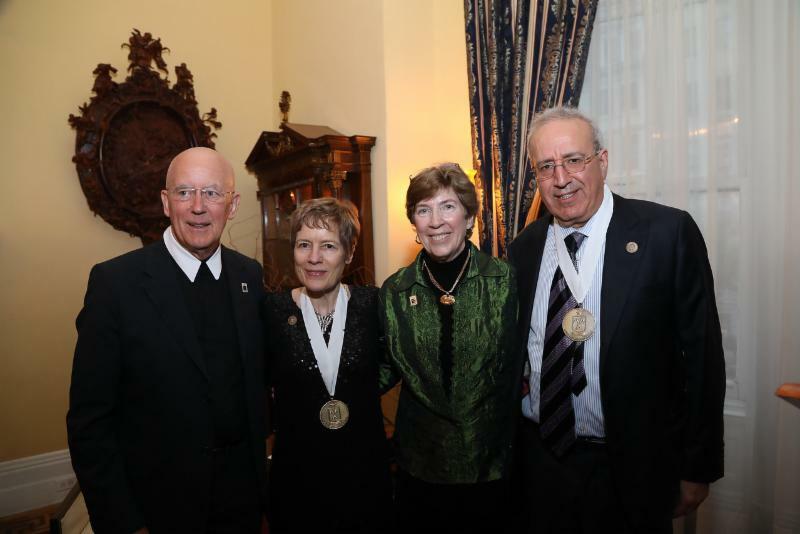 Three couples and two individuals were invested as Legacy Patrons of the Bethlehem University Foundation : Dr. Samir and Mrs. Mary Abu-Ghazaleh of Sioux Falls, South Dakota; Mr. Elias and Mrs. Annette Aburdene of Washington, DC; Mr. William Doty of Rye, New York; Mr. John and Mrs. Nan Steger of White Bear Lake, Minnesota; and The Reverend Monsignor Archimandrite Robert L. Stern of the Archdiocese of New York. To learn more or to inquire about membership into the Patrons, please contact John Schlageter, the Foundation's Executive Director at jls@bufusa.org or 240-241-4381. 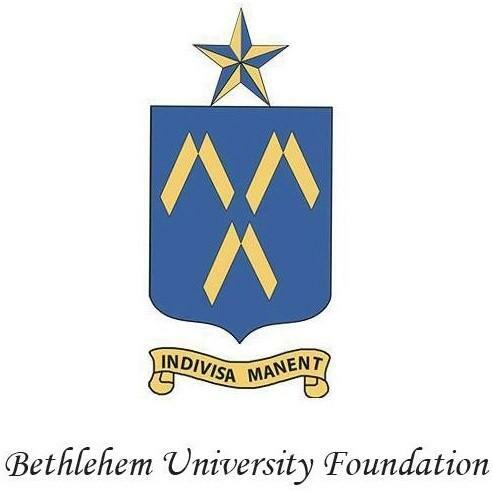 The Bethlehem University Foundation is the U.S. 501c(3) not-for-profit organization entrusted with the sole mission of supporting and promoting Bethlehem University. The Foundation is a means for United States citizens to make a tax deductible donation to Bethlehem University. or like the Foundation's Facebook page "Bethlehem University Foundation"